The ‘380’ in Ultraroof380 refers to the box beam which is its most important component. The box beam is 380mm wide and runs around the perimeter of the roof sitting on window frames and walls. This box beam gives the Ultraroof 380 its super strength, so strong that it never needs a tie bar ever. 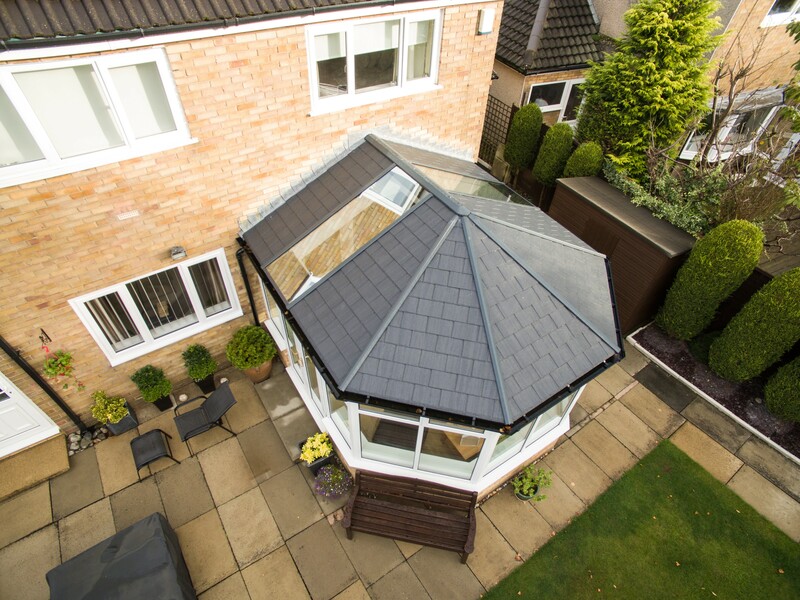 Enjoy the benefits of a solid and glass roof all at once by replacing your existing conservatory roof with the Ultraroof380. Its hybrid design allows for the inclusion of numerous glass panels or Velux windows – the choice is yours entirely and, either way, you’ll benefit from fantastic light penetration into your new room space. Maintaining an optimum temperature in your conservatory is easy with the Ultraroof380. Its thermally efficient design means that it traps warm air where it is most needed during those colder autumn and winter months while preventing your room from overheating during summer when the sun is at its absolute peak. The UltraRoof380 is light in weight, too. This is important because its design enables it to overcome obstacles typically presented by planning permission and building regulation rules. Because the UltraRoof380 has also been JHAI approved, you’ll be able to instruct your Ultra Installer to proceed with peace of mind.